The weather has been pretty dreadful for the past few weeks with snow, rain, floods, and of course, the freezing temperatures. With the elements being so rough and tough, our heating systems have been working overtime to keep us nice and toasty when we settle down on the sofa after a long day's work. However, due to the excess usage, it is only important to be vigilant for leaks and clogs. Here at the advertiser.ie we provide some top tips to keep your heating working smoothly until we reach the gentler climes of spring. Although leaks can start out to be merely no more than a few droplets, they can become worse over time. Check for damp cabinets, mould on window sills, dripping refrigerators, and leaking sinks and toilets on a consistent basis. You do not want to come home from work and find a mini-pool of water in your living room or kitchen. If there are any problems, make sure you get them fixed fast. Leaving a little leak can cause huge problems in the long run. The smaller the leak, the smaller the solution as well as cost. For those with long hair, the blocked shower drain is forever a nuisance. To avoid problems make sure you clear your drain every week. It may be a disgusting job but well worth it in the long run. The clog of the shower drain may be unavoidable but you can stop your kitchen sink clogging by making sure food does not go down the pipe when it is time to do the dishes. Same goes for the toilet; do not put anything down there that you should not. Sometimes the DIY methods just do not produce the desired results so you will have to call in a professional plumber to complete the job. 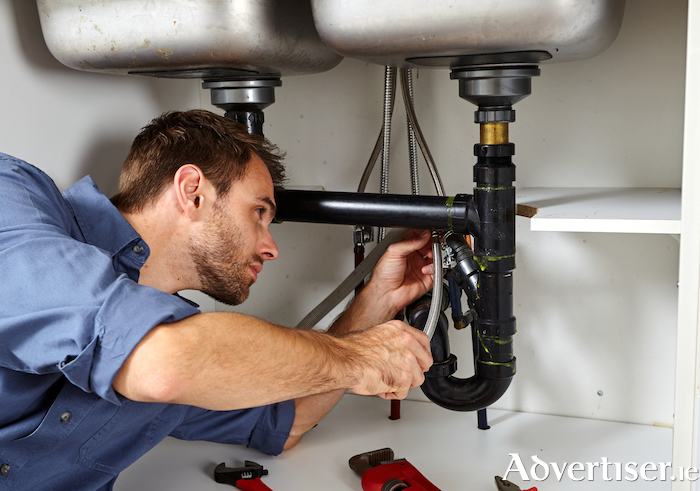 There are plenty of plumbers available to contact on classifieds.advertiser.ie to tackle the jobs you cannot. So there you have it; plumbing made simple.